Zeus Integrated Systems has released their weekly update and confirmed that they have shipped the first 500 ordered units to customers, though apparently many of these were picked by customers from China. The company should continue shipping the rest of the orders from the first batch and is already taking preorders for the next batch. Currently only Cyclone, Thunder and Lightning miners are apparently being shipped and the smallest Blizzard miners should also start shipping very soon. Our order for a single Blizzard miner still says Processing as a Status and we are going to be keeping you updated once it actually ships and when we receive it and do some testing on our own. So stay tuned for more information soon. 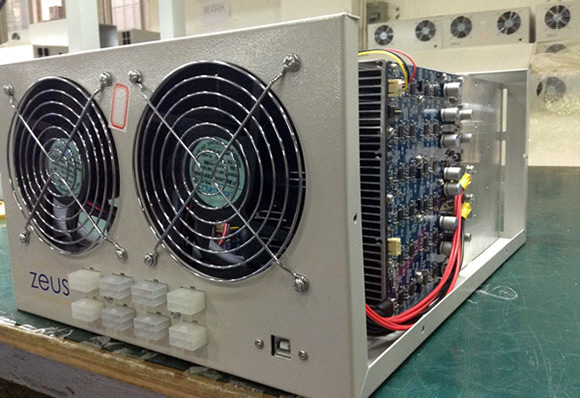 Meanwhile, Alpha Technology, another Scrypt ASIC manufacturer has sent requests to the customers that have preordered their Viper Scrypt Miners to send the rest of the payment as the company has requested only 30% initial deposit for preorders. This however does not include shipment as it should be paid additionally when the time for shipping the actual product is close. Previously Alpha Technology said the full payment needs to be paid 8-10 weeks before shipment and they now say they will be ready for July shipment, so that should mean end of July most likely. And while 90 MHS Scrypt ASIC seemed quite a lot just a few weeks ago, now Innosilicon A2-based Scrypt ASICs are already shipping and are prety much capable of providing this hashrate. And Even though A2 is still a bit more expensive than the Viper you will still be able to get it now and not wait two more months (if Alpha Technology keep their promise for shipping in July). We personally have not preordered anything from Alpha Technology and do not have plans for doing so for the moment. Actually I can tell you that the Alpha Technology request for final payment does comprise the shipping costs, as I can see them both in the invoice they sent me and in the order online. Let’s hope they’ll keep their delivery schedule. I’m also considering to get an A2, as Scrypt hardware seems to be in an interesting moment whereas SHA256 landscape is quite still with nothing really delivering below the 1W/GHS..
A 6 chip Blizzard now shows 40 watts so that is 6.66 watts on a per chip basis. So power consumption has maybe doubled. Zeus missed their earlier stated performance target by a large margin but at least it looks like they are actually shipping and that is exciting. I ordered a Fury from GAW which may turn out to be a re-branded Blizzard. I’m looking for to getting it. Hopefully it can be pushed 1.5Mh/s and keep it under 50 watts. We’ll know soon. I’m looking forward to your review Admin. Really looking forward to your blizzard miner review, holding back all new purchase till i see some solid test and review. So far i hear about new miners being shipped out but no much about performance , usage, test and review. The new miners are almost some what of a mystery. I’m sitting on two 18MH Viper Pre-orders and am hoping that Alpha-T’s repeated commitment to Batch 1 customers’ ROI is true. All batch 1 customers are getting free hashing from their cloud service and the hope is that they’ll scale that appropriately to match market conditions. I will say though, all of this SCRYPT asic insanity kind of makes me want to get a bunch of S2s and call it a day. At least SHA mining has CALCULABLE returns at the moment.